There are few things in life as exciting as preparing to bring a new life into this world. While the web is awash with advice for new parents for things to do and not to do, there are some tried and true things you can do to make life a little easier during this hectic period. If you’re taking some time off from work, you’re in good shape to make all of the necessary preparations, but don’t worry if you’re still working, you’ll still have plenty of time to take care of these little tasks to make way for the baby. 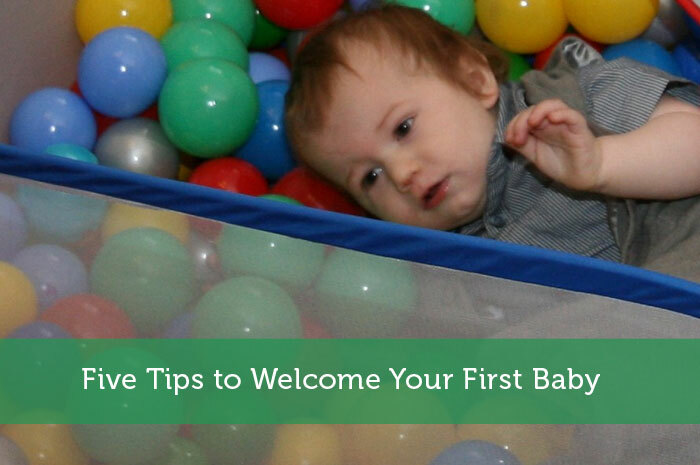 From making preparations in the home, budget planning for the new child, and making professional accommodations, there’s a lot to take into consideration when you’re about to become a parent for the first time. Let’s start by taking a look at some of the ways you can prepare to financially support your baby. One of the best ways to cut back on extraneous expenses is to take advantage of coupons. You might have written off coupons as the territory of little old ladies holding up the line at the grocery store, but coupons are evolving with the internet age to provide substantial and convenient savings on much more than just your grocery bill. Take all of the furniture and supplies you’re going to need for the new baby for example. You’re probably going to do a significant amount of shopping for baby products at places like Babies R US. Luckily for you, Babies R Us coupons by Ebates.com and other online coupon sites like Coupons.com, Retail-Me-Not, and KrazyCouponLady can get you huge savings and cash back offers so you can get everything you need for the baby and still stay under budget. When you’ve sufficiently taken advantage of your savings on everything from diapers and bibs to bumpers in cribs, you can start to think about the best ways to prepare your home for the new arrival. It’s important to pay closer attention to the home products you’re using, as some of the items you use in your everyday life could prove harmful to a new baby. Keeping seemingly harmless things like plastic bags out of site and stowed away can help eliminate baby hazards from the home. Much of baby preparation consists of a greater diligence and attention to home maintenance and making sure to always keep a close eye on the child, even if you’re in the same room. When you do need to keep some of the more hazardous materials in the home like cleaning products for example, you just need to pick up baby proofing tools for the hardware store or another spot like Babies R Us. The process of baby proofing the home usually consists of things like securing low cabinet doors and keeping potentially dangerous materials out of arms reach for the child. You also need to take into account the adjustments to sleeping arrangements in the home. Are you planning to keep the baby’s crib in the bedroom with you, or are you planning to keep the child in another room with a baby monitor device? While you probably won’t be able to sleep the whole night through for the first couple weeks either way, you should look at the various spatial arrangements you’ll need to make in preparation. Having an explicit discussion with your partner far in advance about sharing and balancing the responsibilities of careers and child rearing can prevent uncomfortable arguments and resentment that could arise down the line. Raising a child requires active participation from a family network in whatever form that may take, so take the time to really think about how that will look with your current employment status. At the end of the day, after you’ve saved money by using coupons from Ebates.com, baby proofed every room in the house, and figured out how to arrange your work schedule with the baby, the most important way to prepare for a child is to get excited about the many joys of parenthood. Great list especially for me since I’ve been thinking about these things lately! Haha future planning not for right now. I don’t think anyone is ever ready to have a child, but I sure do plan to be as financially ready as possible. Saving up gobs of money, and rethinking any purchase I make now. No fancy furniture for me, it’s ikea all the way since kids are going to trash a lot. Great topic. My best tip for those who will be taking the one year parental leave (in Canada) would be to start living off your reduced income as soon as you get pregnant. You’ll be able to scale back your lifestyle while still having a safety net and be able to save up for baby purchases. Also, you can often find gently used baby items which can save lots of money!